Scriptural Statement of Faith of David and Jonathan Inc.
We believe in one God, eternally existent in three persons—the Father, the Son, and the Holy Spirit. We believe that, "All Scripture is given by inspiration of God", meaning the Bible, composed of the Old and New Testaments; that it is inerrant in the original writing and that its teaching and authority is absolute, supreme and final. We believe in the personality and deity of the Lord Jesus, in His virgin birth, in His sinless life, in His miracles, in His vicarious and atoning death, in His bodily resurrection, in His ascension to the right hand of the Father, and in His personal and imminent return in power and glory. We believe in the personality and deity of the Holy Spirit, the source and power of all acceptable worship and service, the infallible Interpreter of the infallible Word, Who indwells every true believer and is ever present to testify of Christ, seeking to occupy us with Him and not with ourselves or our experiences. We believe that man was created in the image of God, but by willful transgression became sinful and is justly under the condemnation and wrath of God. We believe that the only salvation from this guilt and condemnation is through faith in the righteousness and atonement of the Lord Jesus Christ, Who became the sinner's substitute before God and died as a propitiatory sacrifice for the sin of the whole world. Salvation is the free gift of God's love and grace. We believe that the Church is composed of all those who truly believe on the Lord Jesus Christ as Savior. It is the body and bride of Christ. We believe it is the privilege and responsibility of every Christian to be a witness unto Him. 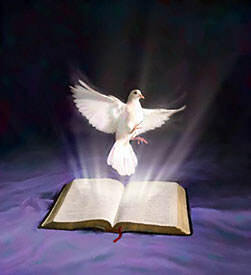 The Lord Jesus is the true soul winner and lives in the Christian by the power of the Holy Spirit. The supreme mission of the people of God is to preach the Gospel to every creature. We believe that the New Testament church is a body of believers, associated for worship, service, and the spread of the Gospel of the grace of God to all the world. We believe in the resurrection of the saved into everlasting life and blessedness in Heaven, and the resurrection of the unsaved unto everlasting punishment in Hell.